Peyton Meyer is an American actor who first rose to prominence by starring in the TV series, Girl Meets World as Lucas Friar. Born on November 24, 1998, Peyton is the youngest son of Elizabeth and Robert Meyer. The actor first took the decision of pursuing a acting career when he was just 10 years old and began to participate in local acting contests in order to display his abilities. His journey towards success began during 2013 when he landed a guest role in the TV series, Dog With A Blog. Soon after this, Meyer was cast for the role of Lucas Friar in the Disney Channel original show, Girl Meets World which is actually a spin-off of the hit series, Boy Meets World. As far as the off-camera life of the actor is concerned, Peyton Meyer has been romantically linked with Rowan Blanchard and Amanda Buhs so far. Below is the list of actor Peyton Meyer body measurements including the details of his height, weight, shoe, chest, waist and biceps size. The actor is a baseball lover and also enjoys surfing and snowboarding. He has been romantically linked with actress Rowan Blanchard and fans call the couple, Reyton. 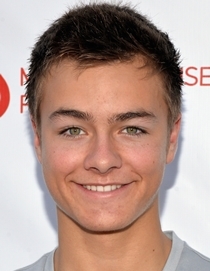 Peyton Meyer started his professional career with commercials and movie trailers but earned major fame through his role in TV series, Girl Meets World.